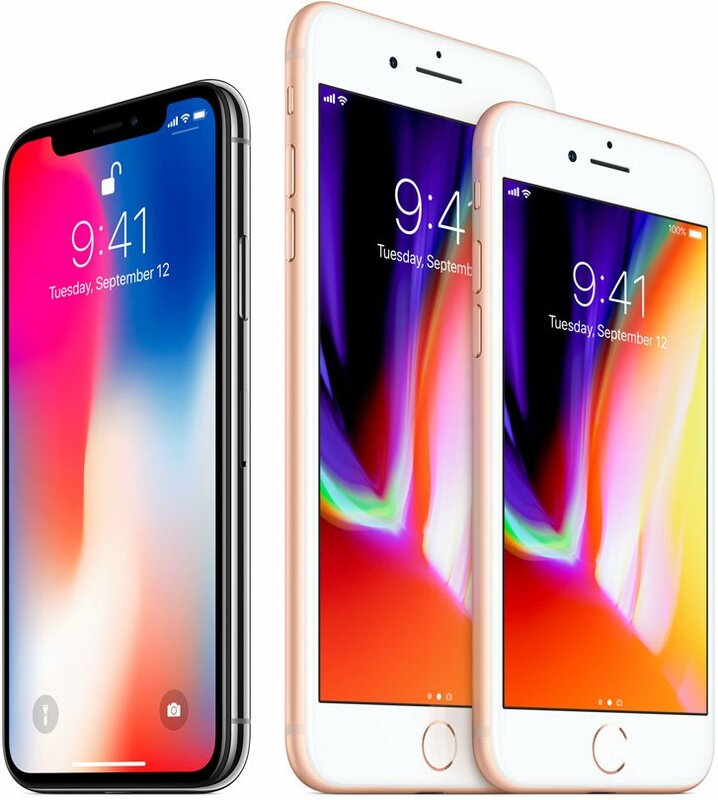 Apple officially announced the iPhone 8, iPhone 8 Plus, and iPhone X, a new generation of iPhones that boast an upgraded cameras with the brand new Portrait Lighting technology. The new glass-backed iPhone 8 and 8 Plus feature new 4.7-inch and 5.5-inch Retina HD displays, respectively. Inside the phones is a new A11 Bionic six-core CPU to power the phone as well as improve photography experience. It allows for faster low-light autofocus, improved pixel processing, and hardware noise reduction. There’s a new 12-megapixel main camera module in both phones that has lower noise and a wider dynamic range. The dual camera system on the iPhone 8 features a f/1.8 main camera and a f/2.8 telephoto camera. The new imaging sensor is 83% more light efficient and uses less battery power, allowing you to shoot more photos and video on a charge. On the video front, Apple claims the iPhone 8 line has the highest quality video capture ever offered in a smartphone. The phone analyzes 2 million tiles in the scene per second to predict image and movement. In addition to 4K 60fps, you’ll also be able to shoot 1080p slow motion at 240fps — twice the frame rate as the iPhone 7. The cameras are also specially calibrated for augmented reality technology, capturing low-light at 60fps with accurate motion tracking and a new gyroscope and accelerator. Other iPhone 8 features include wireless charging, water and dust resistance, and dual-domain pixels for a wider viewing angle. What’s very new in the new iPhones is a “Portrait Lighting” feature. While Portrait mode in the iPhone 7 helped simulate a shallow depth of field for nicer looking portraits, Portrait Lighting helps simulate professional lighting. When framing a subject, you’ll have a number of different lighting options to choose from for giving your portrait different looks — things like Contour Light, Natural Light, Studio Light, Stage Light, and Stage Light Mono. These “aren’t filters,” Apple says. Instead, the phone is actually studying your subject’s face and calculating the look based on light that’s actually in the scene using machine learning. Apple has also announced its new flagship camera, the iPhone X (the iPhone “ten”). This is the phone that’s designed to “set the path for technology for the next decade”, just as the original iPhone revolutionized how we used the phones in our pockets. The phone features an edge-to-edge, 5.8-inch, 2436×1125-pixel Super Retina display, great for enjoying phones and videos. It’s the highest pixel density (458ppi) ever introduced in an iPhone and is also the first OLED display used in an iPhone. The Home button has been replaced by a “Swipe Up” and by a new Face ID system that powerfully recognizes your face regardless of things like hairdo, glasses, makeup, and more. The system is powered by a TrueDepth camera on the front of the phone that will bring new power to selfie-mode photography. The rear camera system uses dual 12-megapixel cameras with larger and faster sensors. There’s a new color filter and deeper pixels. The standard and telephoto cameras feature f/1.8 and f/2.4 apertures, respectively, with the f/2.4 being faster than the f/2.8 telephoto found in the iPhone 8. Apple iPhone 8 and iPhone 8 Plus will be launching in India on September 29. Apple iPhone 8 price will start at Rs 64,000 for the 64GB variant of the iPhone 8. Apple iPhone 8 with 256GB storage will cost Rs 77,000. The iPhone 8 Plus starts at Rs 73,000 for 64GB storage and Rs 86,000. The 64GB variant of the Apple iPhone X will cost Rs 89,000 in India while the 256GB version will cost Rs 102,000. The iPhone X launches officially on November 3. Do watch my Instagram on the September 29 as I get you live updates as the first person to be inside the store! Next Meet the Canon 6D Mark II- Your most versatile friend so far!